In the past year, I’ve had multiple competitors approach me to acquire one of the businesses that I own. Being approached by competitors — or anyone for that matter — is always flattering, but, more importantly, it opens a door for many business owners that they have not considered in the past: selling their business. If you’ve ever thought about selling your business, you likely thought about selling it to a strategic buyer — a larger company in your industry, a competitor or a business in a neighboring industry that could benefit from something you’ve built. Easier transitions. Because the buyers are already familiar with your industry, the transitions are often easier to manage — but not always. While many business owners think that a strategic exit is the most natural or the easiest type of acquisition to complete, the truth is that it often has the lowest chance of success. Most acquisitions occur to financial buyers — acquiring companies who may not have specific industry knowledge, expertise or advantage when buying your business, but like the potential financial return on investment your business provides. Second, strategic exits often fail to materialize simply due to bad timing. Unless the company you are approaching to make a deal is a massive enterprise, most acquirers need to plan out their resources — both in capital and work requirements — in order to successfully complete a merger or acquisition. 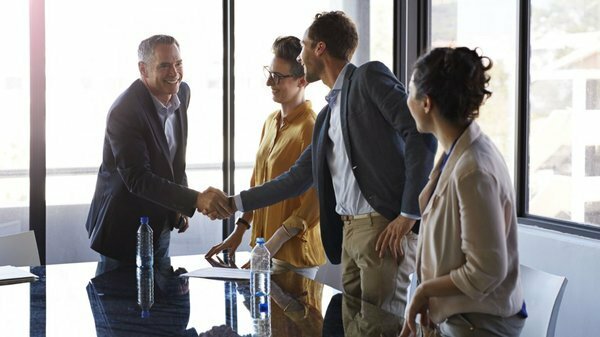 When you approach a potential strategic acquirer, even if there may be a good fit between your company and theirs, the timing might simply not be right. Build your strengths to address other business’s weaknesses. If a wholesaler decides to enter into the direct to consumer market, they often do so by acquiring one of their clients. This is because they recognize that their weakness (direct to consumer) is their client’s strength. If you are hoping to be acquired by a larger competitor, get to know their relative weaknesses, and build your company to be strong in those areas. This isn’t just good acquisition advice, this will help you differentiate your business in the marketplace. Let potential acquirers know in advance that your business might be acquirable. In most strategic acquisitions that I’ve seen successfully completed, the company that is acquired had a previous relationship with the acquiring company and informed them that selling might be an option they would explore in the future. By letting your intentions be known early, you give potential acquirers the time and the ability to consider acquiring your business as a part of their strategic plans. Be patient. The strongest leverage any business owner has in an acquisition is the ability to walk away from the negotiation table. If the terms you are receiving aren’t right, walk away. The fact is, while strategic acquisitions often result in higher — sometimes significantly higher — valuations, this isn’t always the case. The fact is, more deals are completed in a financial acquisition space simply due to the fact that there are so many more financial buyers looking for good investments.